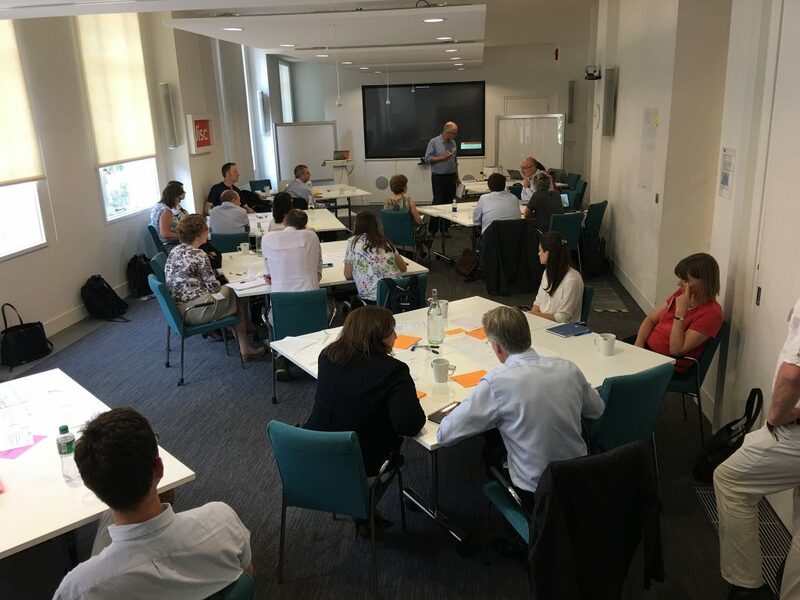 Jisc is interested in hearing from institutions (colleges, universities and private providers) to work with us in piloting the bringing of data from institutional systems into our analytics infrastructure and then presenting that data in meaningful form through some form of dashboard. 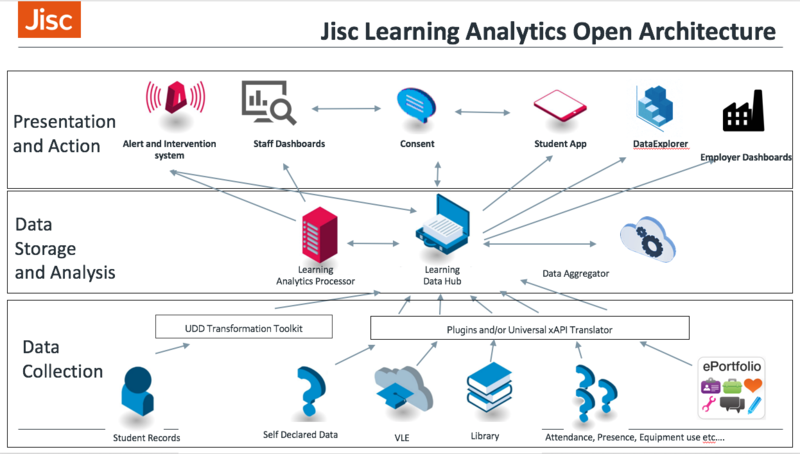 Through its work in the field of learning analytics, Jisc has a lot of experience in doing just this, so we believe that the process shouldn’t be too daunting. This strand of activity is concerned with drawing information out of the institutional systems, and processing that through our Learning Data Hub (LDH), analytics processor and rules engine, before presenting in (hopefully) useful form via some sort of dashboard. Static data – this is the information about the student/apprentice, the course on which they are studying, etc. We call this UDD Data. Activity data – this is data drawn from the systems with which the student/apprentice interacts, such a the VLE, attendance monitoring systems, e-portfolios, etc. 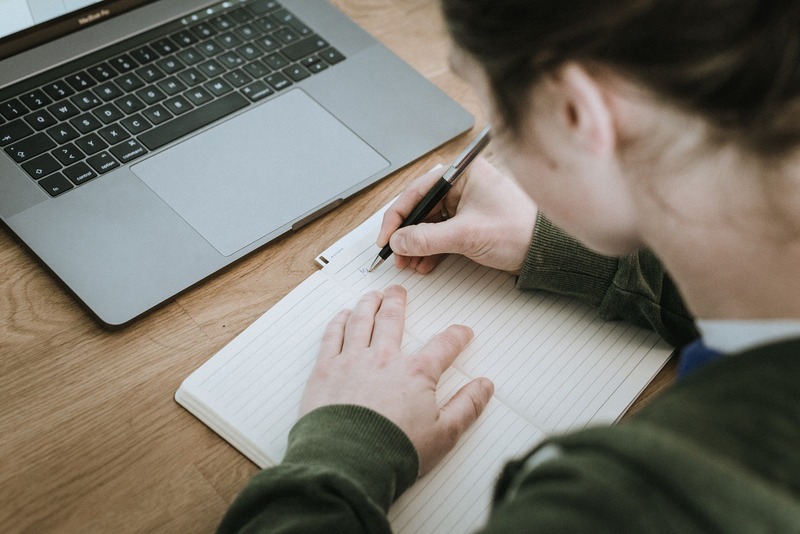 We already have some good experience in extracting data from a range of systems, including the market leaders in student record systems, VLEs, and are now starting to explore one of the commonly used apprentice e-portfilio systems. Let us know if you want to find out more – there is no obligation and by getting into this now you can help us shape the service to be something that will be useful to you. As we see a growth in apprenticeships there is not just greater awareness amongst providers about the 20% off-the-job training (or learning) but also amongst both employers and the apprentices themselves. The default appears to be a day release at a college or university. Some more innovative apprenticeships front-load the training and for some the training or learning is done in blocks over the year. These structured approaches are designed to ensure that the 20% requirement is met across the apprenticeship journey, but this structure can be a blocker or barrier to agility across the apprentice, the employer and even the provider. 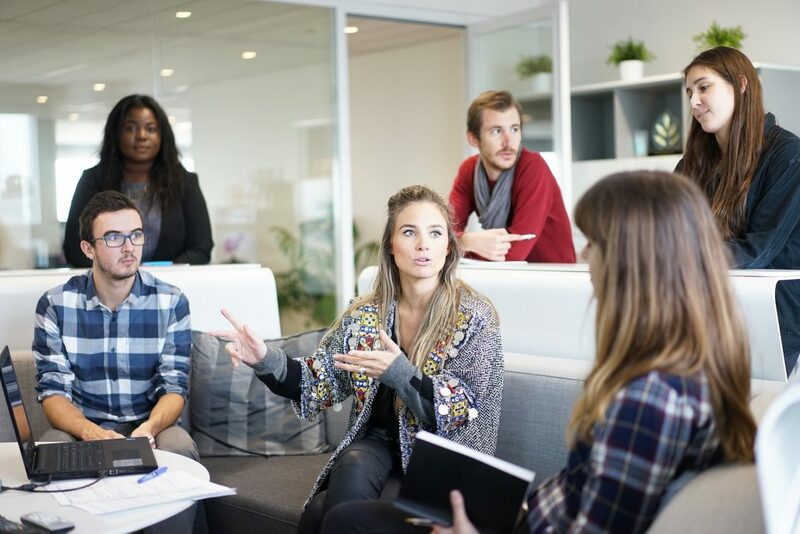 Also for smaller organisations, this structure could be problematic when there are challenges and everyone is needed at the workplace and the training could be done at a later date in quieter times. Often though the structure is set by the provider and both the employer and the apprentice have to accept that. That acceptance often means that demand for more flexible and innovative delivery mechanisms doesn’t arise or isn’t met. If however providers from the start think about flexibility then they will soon realise that this flexibility needs to be designed and built into the system from the start. Digital technologies can play a critical and crucial role in enabling that flexibility and potentially minimising the potential challenges and barriers that a more structured approach can have. Though many people prefer in person face to face communication, it is not always the most efficient mechanism for all kinds of communication. Using audio and video tools such as Skype or Zoom. With a cohort of apprentices, potentially across a number of employers, meeting once a week at college isn’t necessarily going to help them bond as group. Often these cohorts will self-organise and create their own Facebook groups, use tools such as Slack, but encouraging apprentices to do this and also be inclusive can improve cohort collaboration and cohesion over the course of the apprenticeship and beyond. Providing updates using tools other than just e-mail will ensure that valuable and important messages don’t get lost, especially if the apprentice is working in an organisation where they get a lot of e-mail. Not all learning has to happen in a classroom or workshop, there are lots of ways to use digital to deliver learning. Though many people enjoy the social aspects and actual physical experience of coming together, this may not always be possible. Using digital for remote delivery can ensure that content can be delivered to wherever (or even whenever) the apprentice is. 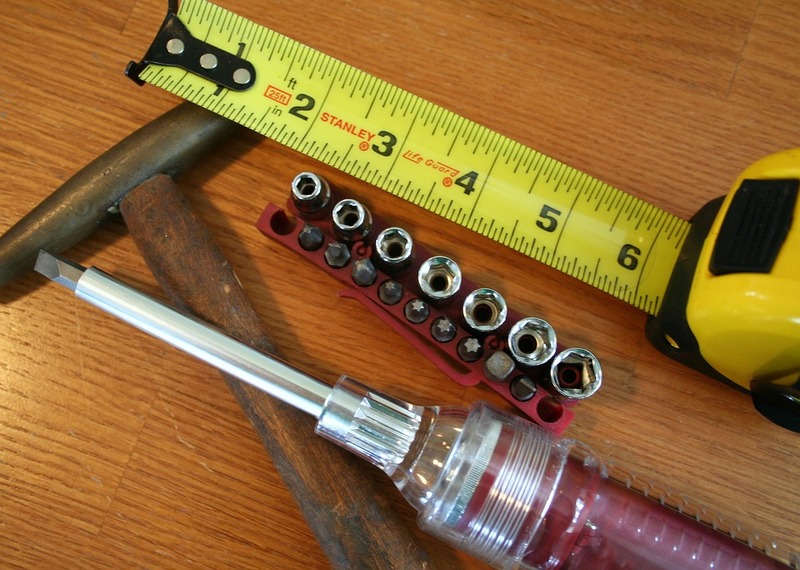 Often these tools increase the scope for group work and collaborative learning. Digital technologies can also be used to enhance and expand traditionaldelivery and to make it more engaging and interactive for apprentices. Digital can enable replication or simulation of authentic tasks that would otherwise be too costly or practically difficult to do in a traditional setting or where there are safety considerations. 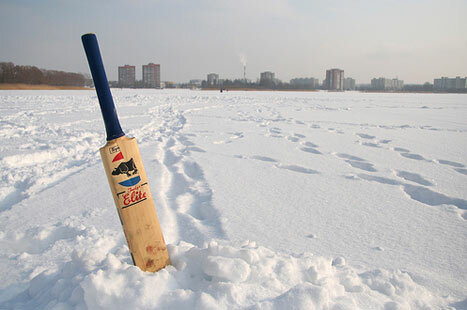 Similarly activities that were previously seasonal can now be practised all year round. Digital can also make use of what would otherwise be redundant time, for example travelling to work or training. Using video recordings, podcasts or electronic texts, can enable apprentices to engage with learning whilst on the move and travelling. Digital technologies for delivery and communication can provide flexibility for the 20% off-the-job training that will benefit employers, providers and importantly the apprentices. Posted by James Clay on August 29, 2018 in delivery and tagged e-mail, podcasts, replication, simulation, skype, video, zoom. 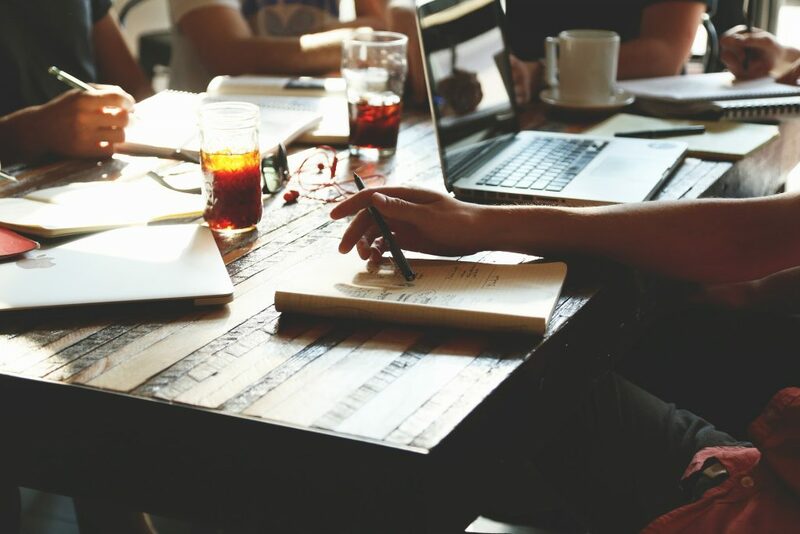 Bringing together universities and colleges involved in the apprenticeship journey, and how digital and technology can enhance and support that journey, is one of the core aims of the Digital Apprenticeship Community Events. Following our successful community event in London, In July we were headed North to Sheffield for the second of our events. It took place at the incredible Factory 2050, part of the University of Sheffield’s Advanced Manufacturing Research Centre (AMRC). The event was taking place in the Concorde Boardroom and the route there took us through the factory floor where delegates could see VR simulators, lots of robots, jet engines and other future manufacturing possibilities. 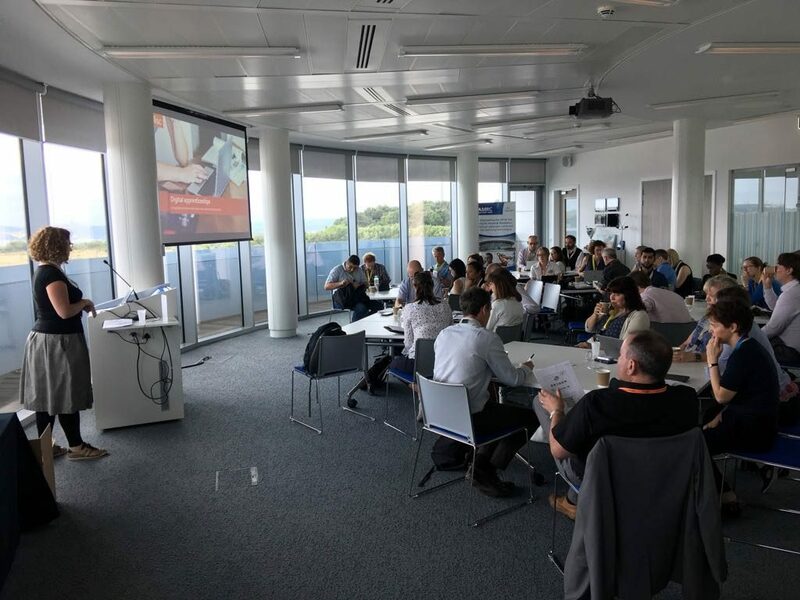 Following our successful community event in London, we are running another community event at the AMRC Factory 2050 in Sheffield on the 10th July 2018. AMRC Factory 2050 is located on Shef eld Business Park just off junction 33 of the M1, and clearly signed from the A630 Shef eld Parkway. The event runs from from 10:00 to 4:00 and lunch will be provided. If you’re working in the area of apprenticeships and are interested in how digital can improve the whole apprenticeship journey, we’d like to invite you to join this digital apprenticeships community event, the focus of which will be degree apprenticeships. Our event will give you an opportunity to network, share practice and hear what Jisc – and various organisations – are doing in this space. Richard de Blacquiere-Clarkson from the University of Leeds will deliver a session on how he is integrating a digital literacy framework into their degree apprenticeship programme, both to help develop students’ digital skills and support effective assessment and feedback practices. There will be a presentation from the University of Sheffield about the Advanced Manufacturing Research Centre, where the event is hosted. You’ll also have the opportunity to discover more about the Jisc digital apprenticeships project and emerging toolkits in this area. 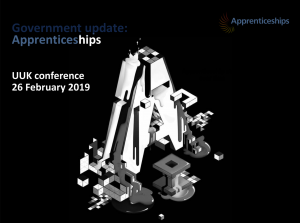 Who should attend – Staff in colleges and universities working in the area of apprenticeships and those who are interested in how digital can improve the whole apprenticeship journey. Posted by James Clay on May 1, 2018 in community event and tagged advanced manufacturing research centre, amrc, the university of sheffield. Case studies are a useful tool to describe how others across the sector are embedding digital into the apprenticeship journey. Though not always instantly transferable from one situation to another, they can be used to see what experiences, problems and issues others have faced and importantly how they overcame them. We would like to invite you to write case studies, which may then be published here on the blog. In order to give you a starting point, we have created a template that asks a series of questions. Overall the expected length of the case study would be 500-1500 words. 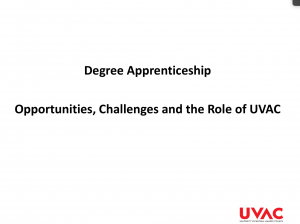 This template is designed to encourage you reflect on how you have embedded for used digital in response to particular challenges in the apprenticeship space and then to share the outcomes with other practitioners. Posted by James Clay on April 30, 2018 in case study. The Apprenticeship toolkit shows how effective application of digital technologies can support the planning, design, delivery and assessment of apprenticeships. The step-by-step toolkit shows the actions to cover at each stage together with potential opportunities and pitfalls. it also clearly highlights specific examples where technology can be positively exploited. Apprentices have slightly diff rent needs to other learners, particularly because they are also employees spending most of their time on the job learning. its important they are not left isolated but feel the benefits of a supportive and inclusive processes in their learning environment. 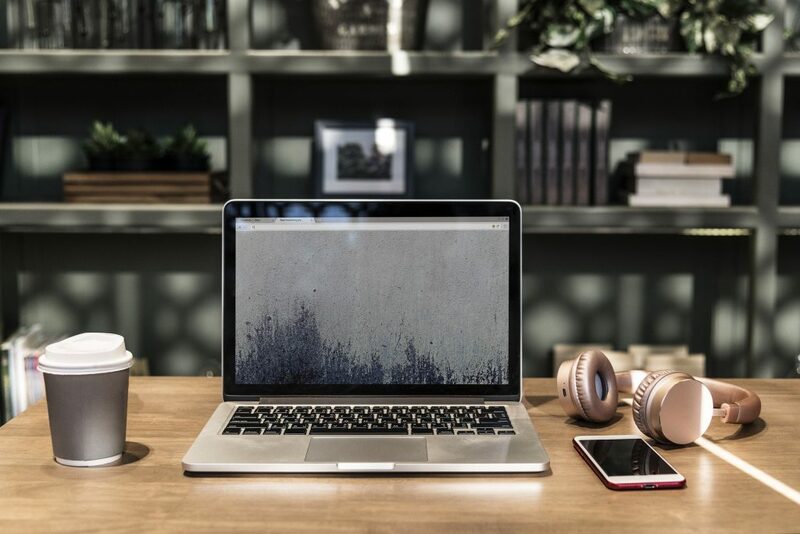 Technology can play a huge role in improving motivation and keeping them connected to their teachers and peers. 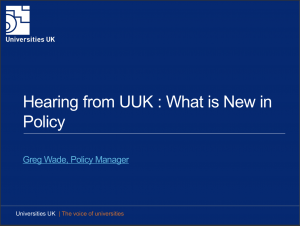 This version of the toolkit is aimed at colleges and training providers (including employer-providers), and organisations delivering end point assessment (EPA) in England, but much of the content has relevance and applicability across nations. Developed in collaboration with providers and employers we hope you enjoy using the toolkit, and welcome any feedback. Coming soon……. 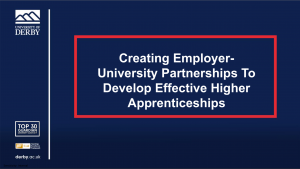 Degree apprenticeships and Delivering apprenticeships in Wales. Please keep an eye on this space for further news. Posted by Sue Attewell on March 27, 2018 in toolkit. We recently ran a survey intended to support preparation of a forthcoming Jisc guide to the use of technology in delivering higher and degree apprenticeships. The survey was launched in October 2017 and closed in January 2018. Most of the respondents were in senior management positions relating to academic development or having specific responsibility for apprenticeships/vocational education so we can be confident that the results paint a realistic picture of the state of play. You can find a summary of the outcomes attached. Posted by Gill Ferrell on March 15, 2018 in apprenticeships and tagged survey. We are sorry to notify you that we’ve had a limited number of bookings for the Digital Apprenticeship Community Event at Portsmouth on Thursday 19 April and we have therefore decided to cancel the event. We will be running a future community event later on in the year so please do look for any updates on our website. Following the first successful community event in London, we are running a second community event at The University of Portsmouth on the 19th April 2018. The event runs from from 10:30 to 3:30 and lunch will be provided. You’ll also have the opportunity to discover more about our digital apprenticeships project and emerging toolkits in this area. Posted by James Clay on March 7, 2018 in community event and tagged university of portsmouth. Last Wednesday 28th February some hardy souls managed a public transport challenged trip to London and gathered in Brettenham House, London for the very first Digital Apprenticeships Community Event. Whilst we were down somewhat in expected numbers the quality of discussion and the quantity of refreshments was excellent. 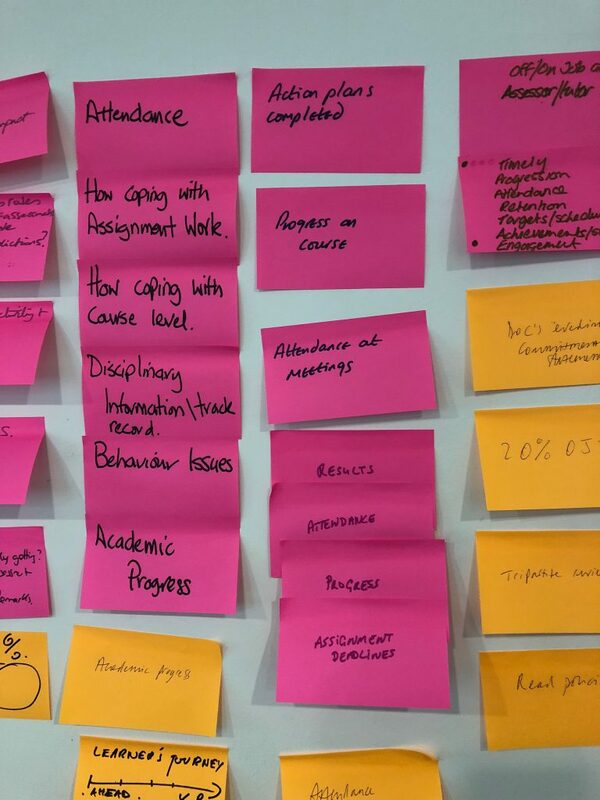 Kicking off with a look at the background to the project and how we had to got this far, we then moved on to look at the prototype and completed the mandatory jisc post-it activity facilitated by Rob Bristow. The problem: How do I cross the river without getting wet and continue my car journey? As the snow was getting fast and furious we had a short but exceedingly generous lunch before resuming with an excellent case study from Gilmar Queiros, Apprenticeship Development Manager at Staffordshire University. Gilmar very kindly shared the lessons learnt by Staffordshire in the hope of saving pain for others and his key takeaway: focus on what successful delivery looks like for you and then work back from there. I finished with a tour of our soon to be launched (at Digifest March 2018) apprenticeship toolkit which supports providers to embed technology in planning, preparation, delivery and assessment of apprenticeships, with lots of handy tips, guides and case studies. Keep an eye on the blog for further news. Thanks to all our attendees, who kept the questions flowing and contributed to a very vibrant day and I hope you all had safe journeys home, with minimal delays. Our next event is in Portsmouth on 10th April 2018 more details here. 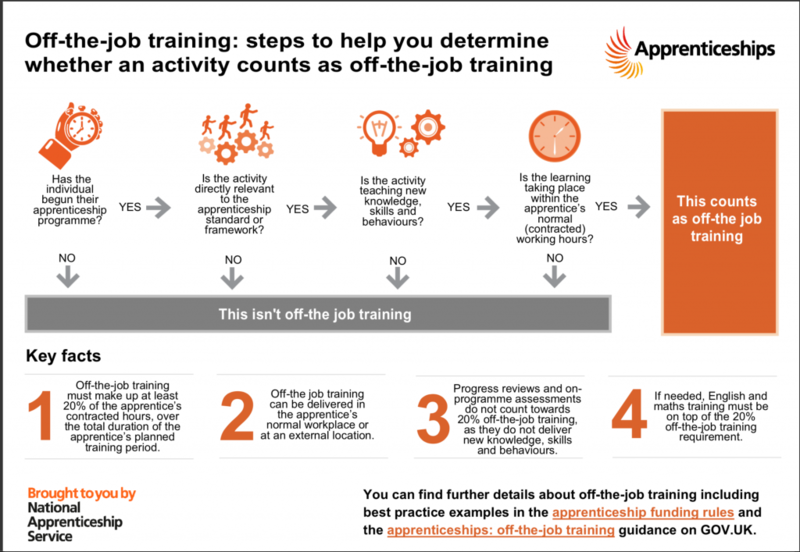 Posted by Sue Attewell on March 2, 2018 in apprenticeships, community, community event, event, toolkit.